If my India tour (2012) was my shortest trip ever for 33 hours lay-over on its golden triangle route, My Japan tour (2013) is my considered longest at almost 7.5 days. Japan has one of the world's best transport systems (commuter's paradise), and getting around is usually a breeze, with the train being overwhelmingly the popular option. Although traveling around Japan is expensive when compared to other Asian countries, there are variety of passes that can be used to limit the damage. 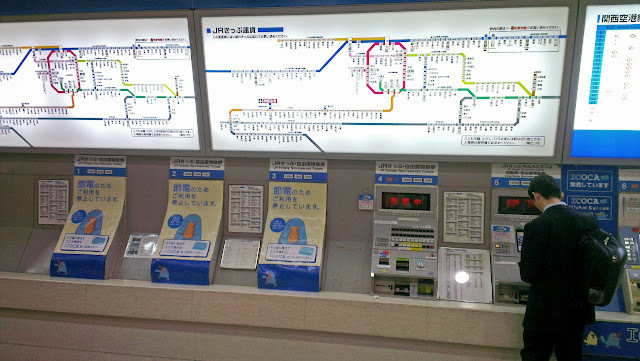 This post mostly on Japan train tips (JR, private, regular, limited express, subway and bullet). 1. 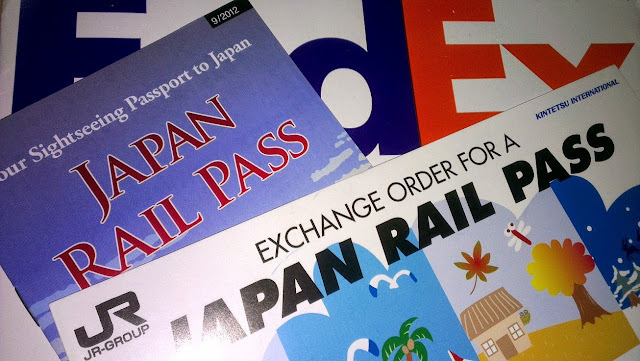 It is recommended to buy Japan Rail (JR) pass if the trip goes 7 days or longer. Buy online as it will not be available inside the country and exclusively for foreign tourist. Receipt of Japan Railpass exchange orders will took around 2-4 days upon confirmation. There are 2 types of railways, the JR and the privately-owned. There are different types of JR pass also which depends on the coverage area, if within city, regional or nationwide. I availed nationwide (costs 28,300yen = $287 + $25 delivery charge = $312) because my itinerary includes hopping to almost 4 prefecture. Shinkansen (bullet train) trip has very expensive fare, is also included in JR pass limited to 4 companies out of 6 provider. 2. Plan your schedule well, Japanese time is on-the-dot time. Use http://www.hyperdia.com/en/ for timetable and route search which includes also bus schedule. Make your timings be flexible and versatile as early departure is important especially for connecting train in different platform. I did not reserve any seats as I know there will be cars (coaster) intended for walk-in tourists. I observed there were at least 4 cars assigned for non-reserve passengers. 3. 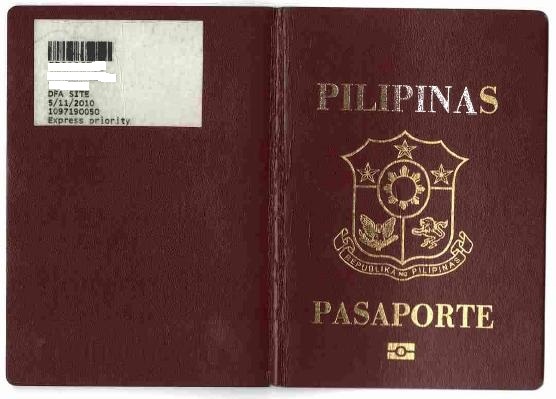 JR pass is not required to purchase first for Japan tourist (short-stay) visa requirements. As long as you put the exact timings, it will not be questioned. Just ensure correctness of train#, trip route and arrival/departure times. Using JR pass is very useful, economical and very convenient. 4. Some bullet trains (Hikari) has electric outlet, designated smoking area and no wifi. Toilet and wash basin is always available. Collect your disposals properly as there is no available trash bin inside. You may bring and eat food while the train is cruising. Take the opportunity to window sightsee, Japan has a very relaxing scenery. 5. Arrive at least 5 minutes before departure time. Before entering the train, please make sure you entered on non-reserve cars which is always specified in electronic bulletin board for what designations. Sometimes JR line station is different to private station, thus, long walking is a must. 6. Always bring your passport should there be a random inspection of JR pass inside train. There was zero inspection inside and walking outside station during the entire duration of my travel. 7. Most important of all, have a copy (in print or in your mobile phone) of latest train maps of all places you wanted to visit. Fully charge your mobile phone as you will always look at it at least 5 times a day just to navigate specifics of train transfers and station. It is seldom also to see posted maps inside. Use locker (only 300yen) for comfortable tour. 8. Backpacking Japan is somewhat expensive. With $1=100yen=Php41, please see the following items with there corresponding cost during my visit. 9. My 2 glitter-globe was confiscated in Kansai airport (Osaka) as I just put it only in my hand-carry bag ( I don't have check-in luggage). They just throw it away in the garbage bin without hesitation. So be careful/smart what type of souvenirs to buy. Thank you very much for the tips. I downloaded your pdf and it is really helpful!